Issam (‘SiMi’) Merheb is Lebanon’s latest viral sensation. His 60 second ‘Velfies’ (Video-Selfies), which he began filming from his car, have taken the social media scene by storm. In the videos, Issam shares his personal observations, sarcastically reflecting upon high society’s latest personality disorder symptoms. Each of his videos is a comical example of the loss of personal identity that plagues our society. Although Issam used to express some of his thoughts through humorous and cynical Facebook statuses (with respect to his cherished freedom of self-expression), it was only after he changed his method of delivery that these pertinent reflections started disseminating beyond his close circle of friends. Issam’s popularity is now growing fast thanks to his casual, funny and concise videos which touch upon topics others wouldn’t dare discuss. Yet his revolt against our society’s fake attitudes and its adoption of foreign trends is understandable to anyone who knows where he comes from. Issam is the son of the late beloved Alain Merheb, ‘King of Al-Howara’ (Howara is a type of satirical song that talks about social, economic and political issues) and the dancer and choreographer Nay Lahoud Merheb. He grew up in a home filled with love and art, in an atmosphere that inspired individuality and authenticity. Issam’s father, who was one of the nation’s greatest treasures in the performing arts scene, was praised as one of the few people who endeavored to preserve our traditional artistic forms. He made it his lifelong mission to teach the world about Lebanese music and dance, and his genuine pride in belonging to his nation touched many, particularly his family. 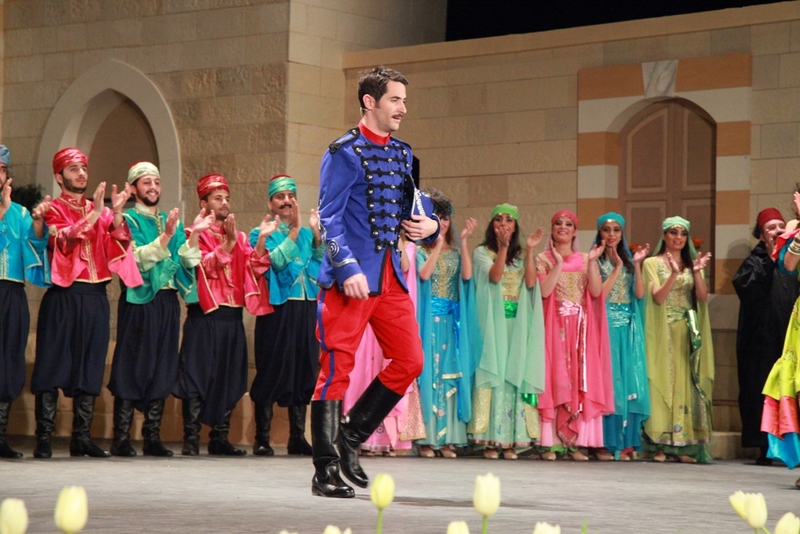 So it comes as no surprise that Issam (also a natural born performer, who showed his acting skills in his uncle Romeo Lahoud’s play ‘Tarik El Shams’ in the summer of 2014 at the Casino du Liban), shares his father’s passion for Lebanese traditions. He is spicing it up with his own individually crafted satire and, thanks to his ‘Velfies’, his message is spreading fast. In his videos, he reproaches the ‘trendiest’ chunk of our society both for their tendency to show off and their lack of modesty (‘Cedars & Business Lounges’ Velfie); for their sudden applause for causes they should already be supporting, prompted by an event that took place on another continent and which won’t even affect them (‘El Pride Bel Love’ Velfie); and for any type of false emulating of the latest worldwide trends while getting further away from their Lebanese belonging (‘Quinoa/Kale’ Velfie). The topics he is tackling might seem inconsequential when taken individually, but his broader message is far from petty. Although he sarcastically brands himself as a “#HaterForLife his second hashtag implores “#SaveLebanon”. And this genuine plea, although packaged in a spontaneous and mocking manner, has more to it than pointless sarcasm. Unsurprisingly, not everyone is a fan of Issam, especially those who do not enjoy the art of self-criticism. Yet few can remain unmoved to the obvious frustration which underlines his desire for a more candid society. Shouldn’t we be grateful for the likes of Issam, one of the few who cares enough to publicly expose the signs of our society’s loss of individual identity? Someone confidently satirizing the attitudes of those who supposedly make up the ‘crème de la crème’ of society, but who are actually uprooting themselves in a mannered attempt to seem more ‘open’? “#SaveLebanon”, he preaches ironically. However, if we each started making an effort to detect and work on those small complexities that are distorting our sense of belonging to the colorful mosaic of our nation, we may eventually be able to collectively shape a healthier and truer society and perhaps, ultimately, ‘save Lebanon’.